This is one of my favorite recipes. I probably make this once a week because it’s so easy and taste delicious. This recipe is perfect to make during the week for a quick dinner and impressive enough to make for something special. This would be great to make for upcoming Valentine’s Day if your pressed for time or not the best cook. It is no way you can mess this dish up, so give it a try! Preheat oven to 425 degrees. Combine panko, parmesan, parsley, lemon zest, and season with salt and pepper. You can also add any seasoning you like. I usually add Borsari original seasoned salt. Add enough olive oil to moisten the panko mixture. 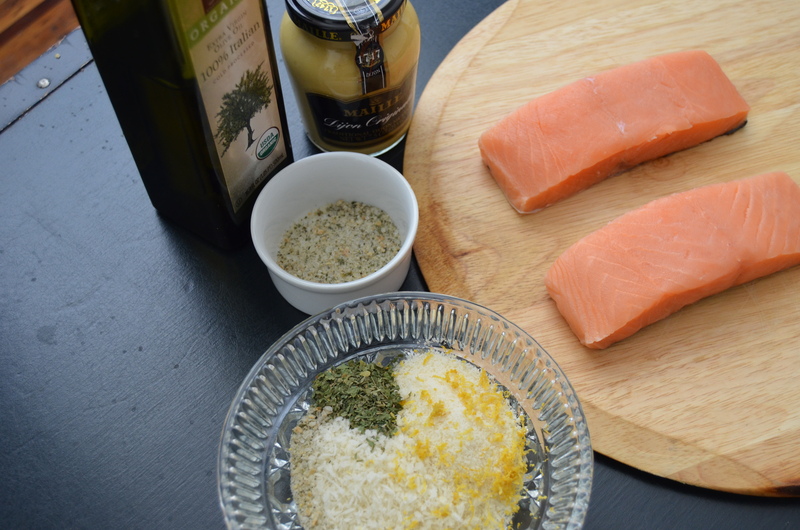 Coat salmon filets with Dijon mustard and season season with salt and pepper. Spread panko mixture on salmon filets and gently pat down. In a cast iron skillet, heat 1 tbs olive oil and heat on medium high. When oil is hot, add salmon filets skin down. Cook 3-4 minutes. 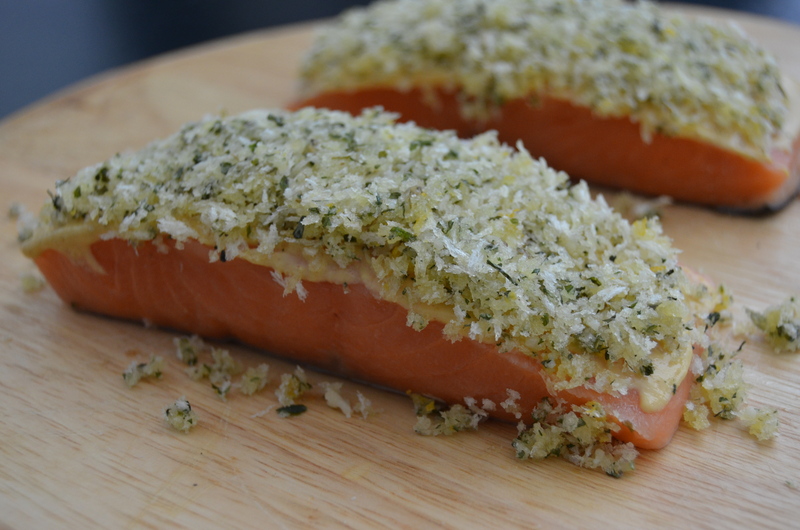 Immediately transfer salmon to preheated oven and cook 10 minutes. This looks amazing. I made a recipe similar except it was tilapia. I am going to have to try this one soon. Thanks for sharing!